Iris Van Herpen gave us a birds-eye view of natural and manmade landscapes with inspirations from the photography of Thierry Bornier and Andy Yeung, among others that are known for their aerial photography. “I zoomed out to look at the earth’s skin, trying to find the forces behind the forms. 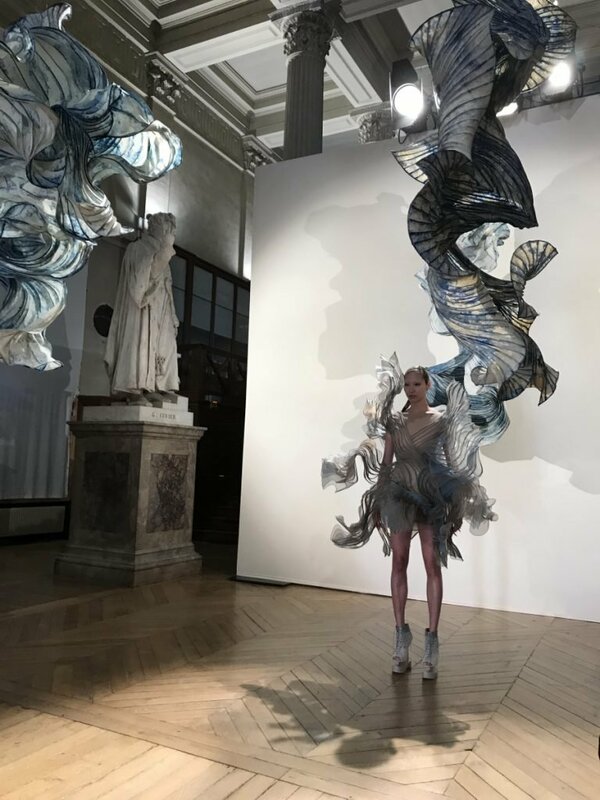 Looking from this perspective, I felt inspired by the pattrns of chaos and order, nature and civilization blending into infinite hybrids.” said Iris Van Herpen.